Janice Fialka, LMSW, ACSW is a nationally-recognized lecturer, author, and advocate on issues related to disability, parent-professional partnerships, inclusion, raising a child with disabilities, sibling issues, and post-secondary education. She is the Special Projects Trainer with Michigan’s Early On® Training and Technical Assistance (Part C of IDEA). Janice is also a parent, poet, a compelling storyteller, and an award-winning advocate for families and persons with disabilities. In 2009, Janice and her family were honored with the "Life Time Achievement Award" by Family Voices for their advocacy in disability. She was named Social Worker of the Year by the National Association of Social Workers (NASW) – Michigan Chapter in 2007. A sought-after presenter, Janice has provided the keynote address and workshops at many renowned national, state, and local conferences throughout the United States and Canada, including the Zero to Three National Training Institute, International Parent to Parent, Office of Special Education Programs (OSEP) National Parent Centers, OSEP National Early Childhood, and Division of Early Childhood (DEC) of the Council for Exceptional Children (CEC). Janice conducts workshops for schools, human service organizations, and parent and advocacy groups. In her primary keynote address and trainings, The Dance of Partnership: Why do my feet hurt? Strengthening the Parent-Professional Partnership she reflects with sensitivity, humor, and compassion on the challenges and possibilities facing parents and professionals as they seek to build successful working relationships on behalf of children with disabilities. Janice speaks from both her unique vantage point as the mother of a child with an intellectual disability and as an experienced social worker of 40 years. Janice has an engaging ability to teach, empower, and stir hearts and minds. As a child growing up in Flint, Michigan, Janice was inspired by her parents’ love of dancing together. "It didn’t matter if they were at a shopping mall or a Polish wedding – when they heard big band music they’d drop everything and glide across the floor – like Ginger Rogers and Fred Astaire! They knew the delight of dancing in sync with a trusted partner." Years later, Janice found dance an apt metaphor for parent-professional partnerships. She noted that unlike her parents’ graceful footwork, new partners are often clumsy and awkward with the "dance" of working together. "Each seems to be listening to different music, moving in different directions," says Janice. "Toes—and feelings—get stepped on." The real dance of partnership occurs, she says, "when partners can genuinely listen to each other's music, try out each other's dance steps, and create a new dance — a new approach that involves the contribution of all partners." Janice has a unique and caring way of empowering folks to feel renewed and ready to get back on the dance floor. She truly believes that the partnership between parents and professionals IS a dance that matters. Janice serves on many national boards, including the Think College Project Advisory Committee. She is a Reviewer for Young Exceptional Children, a publication of the Division of Early Childhood (DEC) of the Council of Exceptional Children (CEC). One of her recent is as a consultant and ally with the National Youth Leadership Network’s (www.nyln.org) new curriculum, Reap What you Sow—an innovative and intensive training for youth and their allies about ways to build a support system that promotes the personal power of disabled youth. Learning about disability history is important to Janice. In honor of the 20th Anniversary of the Americans with Disability Act (ADA) in 2010, Janice worked with the Matrix Theatre Company in Detroit to build a giant hero puppet of Justin Dart— who was one of the major leaders in the disability rights movement and known as the "father of the ADA." The puppet has traveled to Chicago, Washington D.C., California, and Michigan drawing attention and teaching others about the disability movement and its leaders. Learn more and see photos of the amazing Justin Dart. Her writings are published widely in textbooks, journals, and family and professional publications. 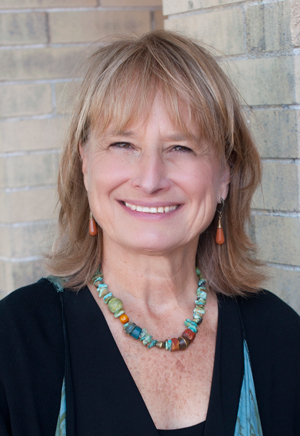 She has authored several books and a collection of poetry, including her much-published Advice to Professionals Who Must ‘Conference Cases.’ In 2006, Janice and her husband, Rich Feldman, co-produced the DVD, Through the Same Door: Inclusion Includes College, which received the TASH Image Award for the Positive Portrayal of People with Disabilities. This inspiring film tells the story of their son, Micah’s journey to live his dream—to attend college. Learn more about Micah’s journey at www.throughthesamedoor.com. Janice Fialka began her career 40 years ago as a social worker, trainer and administrator in the field of adolescent health care. She co-founded several teen health centers in the metropolitan Detroit area and was recognized for her exemplary leadership in youth programming by the Michigan Legislature in 1992. She has taught at Wayne State University in the School of Social Work and is a guest lecturer at many colleges and universities. In 2005, Janice and her husband received the Beserevelt (better world) award from Workman's Circle/Arbeter Gring of Michigan for their commitment to social justice work. 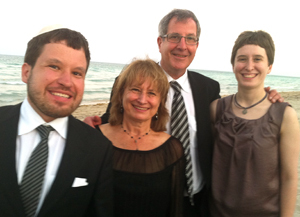 Nearly three decades together have taught Janice, her husband, Rich Feldman, and their children the absolute importance of full inclusion, building a community, presuming competence, and supporting great expectations for all people. They have grown in their understanding about disability and see it as deeply rooted in social justice. Their son, Micah, 27, has become a national leader in the disability movement and has successfully opened doors since elementary school when he told his parents, “I want to go in the same door as all of my friends.” Over the years, he continues to open doors—always driven by his dream to live a fully inclusive, joyful, self-determined life. In 2008, he won a historic lawsuit which allowed him to live in the university dorm. In January 2012, Micah moved to New York to work at Syracuse University, thus opening another new door, not just for himself but for other persons with disabilities. Emma, 23, writes with honesty and humor about her experience of being a sibling. Her article “Dear Teachers,” about the impact of the “r"- word on her, has been read in classrooms all over the country. A longer version of this letter was included in, Letters to Young Activists: Today’s Rebels Speak Out. Currently she is working on her Master’s in Education at the University of Massachusetts. Both Emma and Micah speak nationally and have written on topics related to disability. To read their writings found at this website click here. To learn more about Micah’s journey and to watch him moving into the university dorm, go to www.throughthesamedoor.com. Janice and her husband, Rich have been strongly influenced by both her children, who tenderly teach them brand new dance steps on a regular basis! In keeping with these new steps, she has expanded her dance repertoire to include presentations on such topics as, Supporting our Children with Disabilities to Live Full Lives: Learning (and re-learning!) the Dance of Parenthood. Contact Janice to discuss topics of presentations. She and Micah also provided the keynote "The Ride of Our Lives: Staying on the road even when we had no idea where we were headed!" at the 2004 Parent-Educator Conference for the Iowa Department of Education. With her teenage daughter, Emma, she facilitates sibling groups for young people who have a brother or sister with special needs.